German Night Is Almost Here Folks! At last Pyefleet Week is here and that means that German BOD Night is almost upon us too! 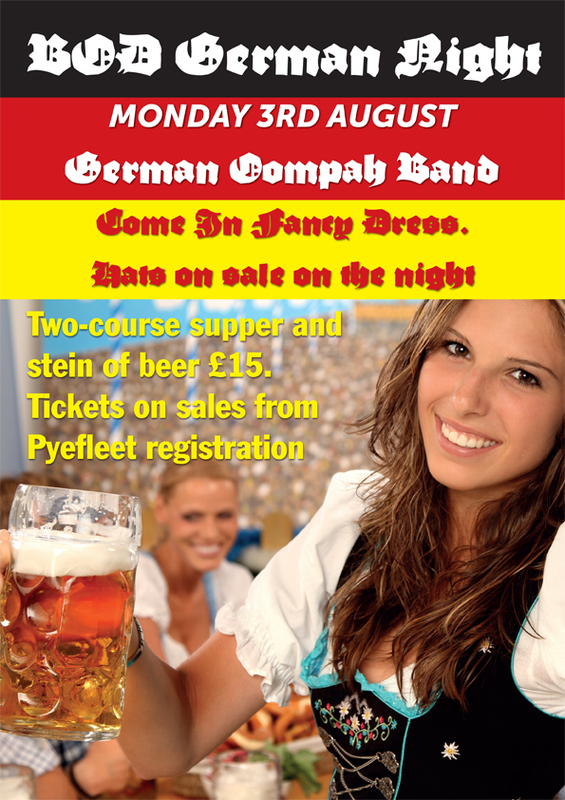 Once again Pyefleet Week’s Monday night will be BOD German Night with dirndls and lederhosen galore, Steins of beer, the Oompah Band and a German supper – come on you know how much you love a Bratwurts! Tickets will be on sale from Kathy at Registration on Saturday and Sunday so book early to avoid disappointment.